A few weeks ago I took the children on a road trip to the low peak in Derbyshire with the hope of finding the the Nine Ladies. We ended up very close but one got scared and the other (being short legged and only just 3) wouldn’t have made the trek. Undaunted, on SaturdayI took a variety of cameras and managed to find the goal. 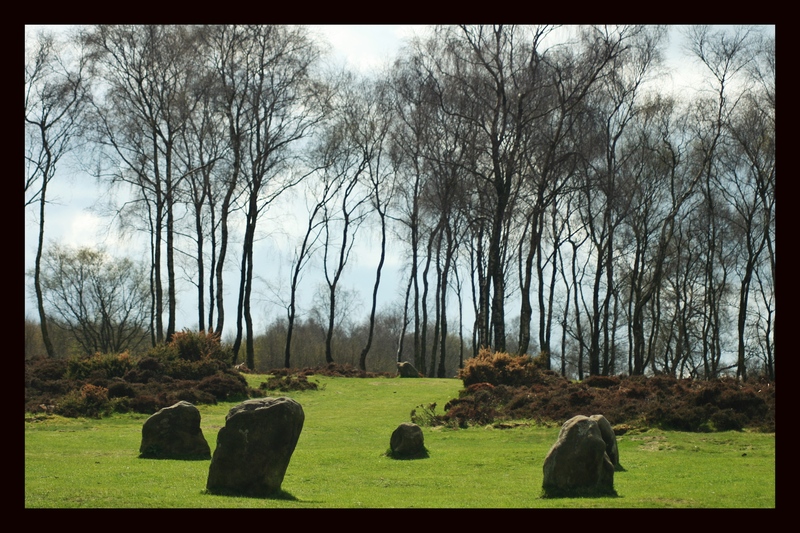 The Nine Ladies is a bronze age megalithic stone circle high on a hill on Stanton Moor (in the general area of Buxton). Whilst later in the day I found an easier access, the path we discovered with the children traverses the hill side for about a mile reaching the Earl Grey Tower . From there there is a short walk through the cultivated woodland before reaching the Nine Ladies. 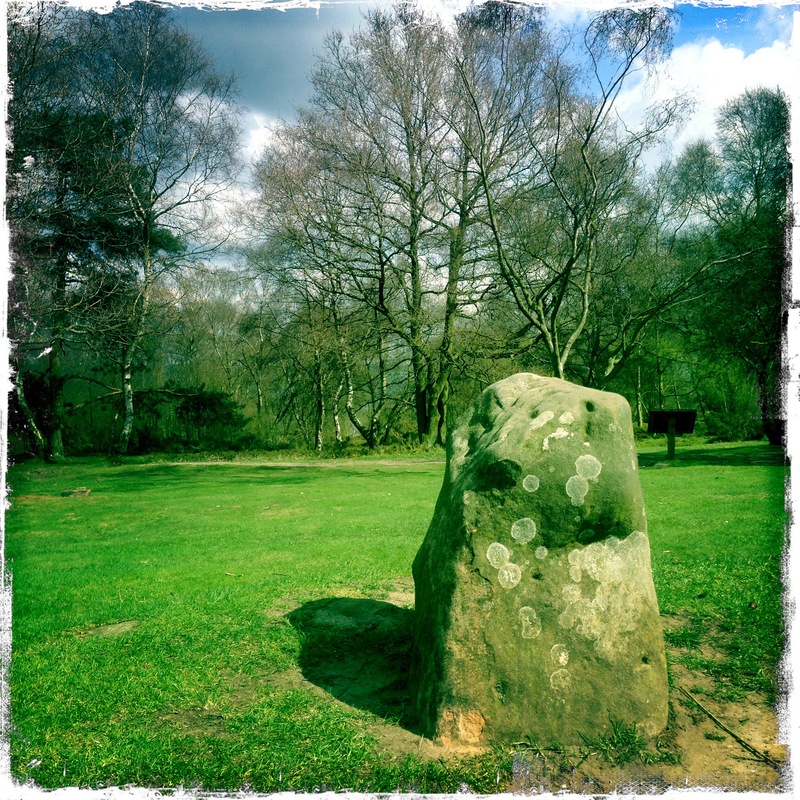 Here is some text from somewhere else…..
“There are nine upright stones, each of local millstone grit, each less than a metre high, in a clearing in a modern wood planted on Stanton Moor.They sit in a rough circle with a gap at the south side of the circle where no stone-hole has been found. However, an additional stone, lying flat rather than upright, was discovered after being exposed as a crop mark in the dry weather of 1976. It is now visible. The circle is built on an embankment which levelled the local terrain. The small “King Stone” lies forty metres from the circle to the west-south-west and is clearly visible from it. I have a great fondness for artefacts of this type. I read some while ago a theory that mankind achieved its intellectual peak during the Bronze Age. The challenges of day to day survival and obvious invention from the ground up that occurred between 5 & 6 thousand years ago is unsurpassed. The global population would have maybe been a tenth of its current insane level but the structures and artefacts of the time remain. In the British Isles we had farmer gatherers moving rocks and arranging them in circles whilst on the islands of Greece (Crete & Santorini) there where sea trader communities building three story houses. I still like our stone circles. This is panoramic image taken from the centre of the circle. Click on the picture for a full sized view. A short drive away from the Nine Ladies site, high on a wind swept hillside is the Arbor Low barrow and stone structure. Much larger than the Nine Ladies and in an impressive landscape now populated by sheep is the ancient earthwork of Arbor Low and the nearby burial mound of Gib Hill. It’s very encouraging the English Heritage recognise, promote and take care of these places. Our history is vital and isn’t in need of overt commercialisation or promotion. Finding these quiet and beautiful places through interest and random connection is more than enough sometime. 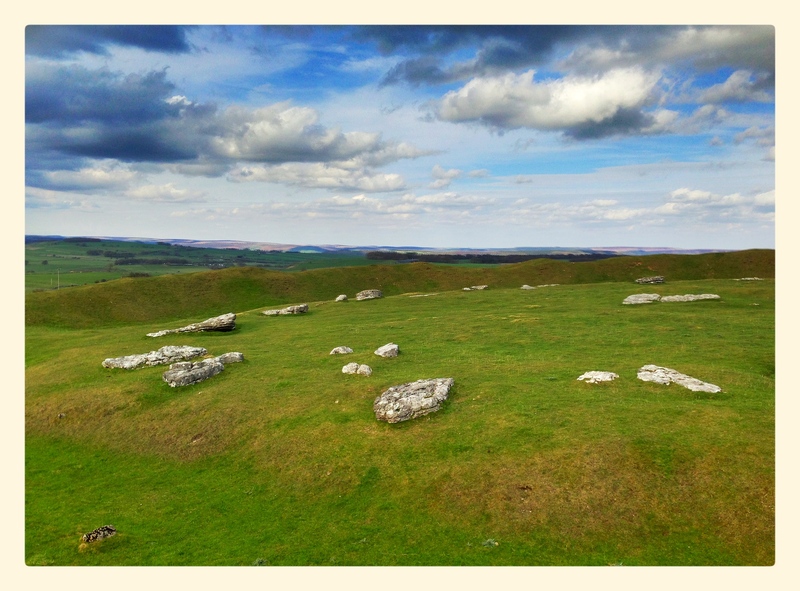 Here is a panorama of the Arbor Low site. There was a chill wind despite the sporadic sunshine. I recorded about 5 minutes of wind noise standing in the middle if Gib Hill to use in some musical endeavour. I’m fairly sure the wind noise experienced standing on the top of the mound is the same now as it was when it was built 5000 years ago. Finally, visiting these places I’m reminded of a many things. Living in Winchester and taking the short trip to Avebury and Stonehenge and also watching ‘The Children of the Stones‘ as a pre teen in the 70’s. Maybe I am a New Ager after all, dammit. The information available about Arbor Low & Nine Ladies is negligible but I did come across the following link on a Druid resource / dowsing blog. I have no opinion on the efficacy of dowsing or druidity but what I found quite interesting is the ley line search criteria of settlement names and suffixes. According to this the south eastern ley emanating from Arbor Low passes through Mapperley, the area of Nottingham I live in. There are no identified bronze age site specific artefacts that I know of near by but the area would have been prime territory for settlers with high land for good views and narrow valleys for shelter and cultivation. So in order to restore the balance I have built a stone circle in the garden, I followed my instinct for the location and have deified my self with a representational megalith in the centre. 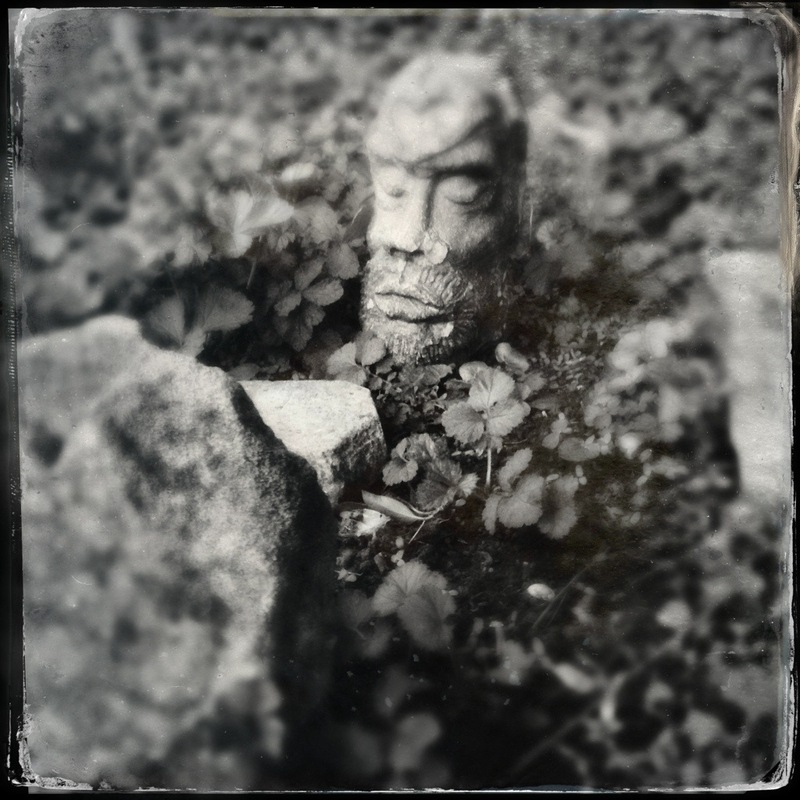 Knell before me, I Am The Lizard King, I Can Do Anything….